If a dead animal was behind the wall, you would smell it. The rotting and decaying corpse would create a stench so bad that your eyes would water and you probably could not stand to be in the room. Flies - specifically house flies can be attracted to many different things. You didn't mention the outdoor areas which is usually the main attraction. Animals, manure, trash, standing water, lights etc can attract house flies and if any of this or anything else is causing the attraction, you will be fighing flies until the seasons change. 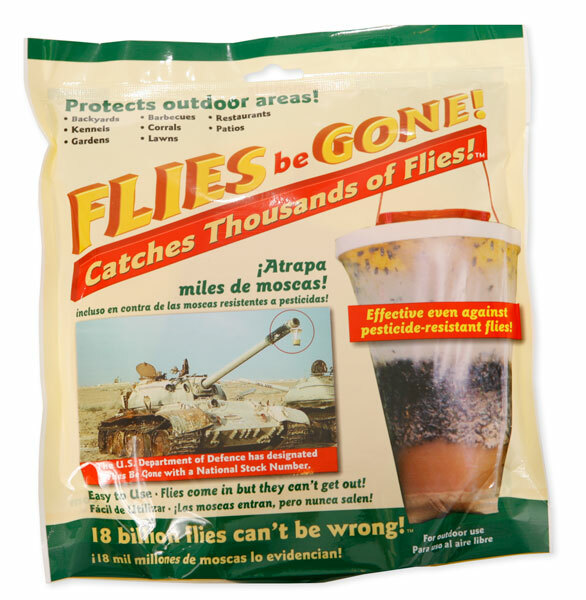 Fiies Be Gone Fly Bags work great outdoors. You need to place away from the house, because they will attract flies, and you don't want flies attracted to the house. 1-2 placed outdoors and replaced every few weeks could help tremendously. CB 80 works great indoors, but will only kill flies on contact. Other good options are Fly Spot Bait which can be sprayed on trash cans, window ledges, and other places where flies land. They will consume the bait and die very quickly.